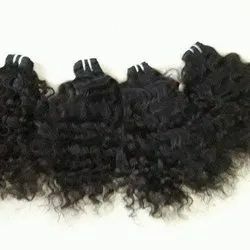 Specialties: We can supply Indian Remy Virgin Hair, Hair in Colors/Blonde Machine Weft in Silky Straight, Wavy, Deep Wavy, Curly Deep Curly, Body Wave etc., textures and I, U, V-Pre blonded Tips in all colors available. 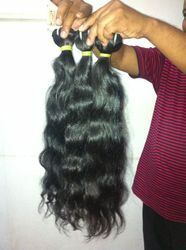 Our Company is exporting Indian Virgin Remy Human Hair to US, Europe, Jamaica, South Africa, and Brazil. 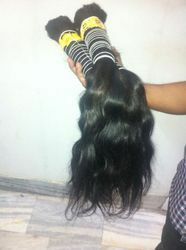 We are the expertise in manufacturing and exporting in Human Hair products, which are commonly known Straight Machine Weft Hair Extension, Wavy Machine Weft Hair Extension, Curly Machine Weft Hair Extension.We have covered our position as one of the leading manufacturers and suppliers of original human Hair to all over the world. 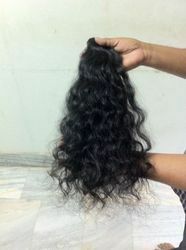 Our hair extension products are smells good, no shedding, tangle free and healthy hair. 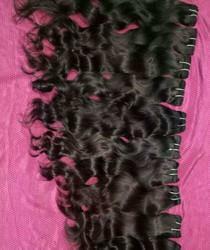 Over the years, we have provided real human hair products at the most affordable prices and have gained the trust of the buyers. 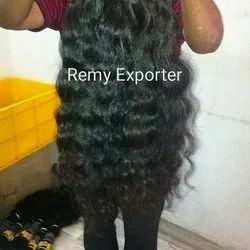 Please find our website for natural curly, wavy, straight hairs All our products are 100% original Remy hair, AAAAA Grade Free from artificial things we assure for that Delivery time 3-5 working days. 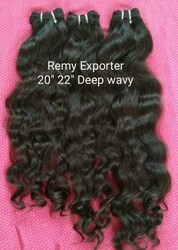 Our Company is exporting Indian Virgin Remy Human Hair to US, Europe, Jamaica, South Africa, and Brazil. We are the expertise in manufacturing and exporting in Human Hair products, which are commonly known Straight Machine Weft Hair Extension, Wavy Machine Weft Hair Extension, Curly Machine Weft Hair Extension, Clip on Hair Extension and Pre-bonded Keratin Tip Extension. 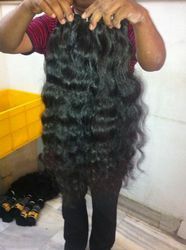 We have covered our position as one of the leading preparers and s of original human Hair to all over the world. We are having different lengths of hair which is starting from 6” inches to 30” inches. We offer best price for wholesale dealers and retail buyers. 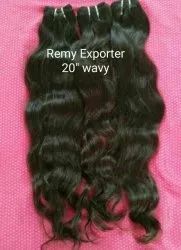 We export high quality of the machine weft hair to all over the world at low cost.Specialties: We can supply Indian Remy Virgin Hair, Hair in Colors/Blonde Machine Weft in Silky Stright, Wavy, Deep Wavy, Curly Deep Curly, Body Wave etc., textures and I,U,V-Pre blonded Tips in all colors available. 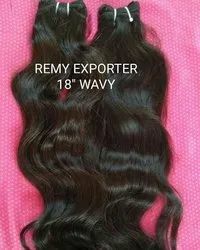 Remy Raw Unprocessed Human Hair Extensions will help you enhance the look of your natural hair resulting in locks that are thicker, healthier, and longer than ever before. 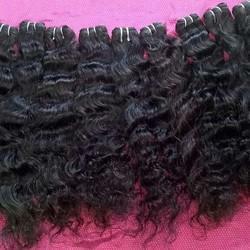 Hair extensions made from human hair can be dyed, heated (curled or straightened), styled, washed, and treated like your own natural hair. It will take 1-2 business days to process your order, regardless of the shipping option selected. We ship Monday through Friday, excluding weekends and holidays. We do NOT ship orders the same day. Please allow up to 2 business days for orders to process (if you order on Monday, your order should ship out on Tuesday or Wednesday). You will receive a tracking number once your order ships. Once your payment has cleared, you will receive an e-mail when your order has been processed (this may take up to 48 hours). You will receive a second confirmation e-mail once your order has shipped, which will include your tracking number and a link to follow the journey of your package. 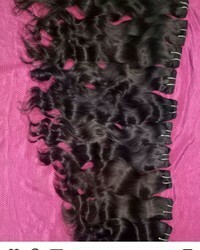 Looking for INDIAN HAIR ?